Dana and Jared have both written about different aspects of delight. It’s not just about dancing hamsters. Delight is much more nuanced than that. The three key elements are pleasure, flow, and meaning. Design can be used for good, or evil. Jared wrote about a technique that we use in our workshop that he calls “despicable design.” Going to the dark side can reveal a lot about how your team approaches designing its users’ experiences. In our workshop, we also use sentiment words to help teams narrow down how they want people to feel or perceive a service. Here are the basics about sentiment analysis. And a piece from NNG about using the Microsoft Desirability Toolkit from which our use of sentiment words comes. One of the tricks to making sure that I’ve designed the right study to learn what I need to learn is to tie everything together so I can be clear from the planning all the way through to the results report why I’m doing the study and what it is actually about. User research needs to be intentionally designed in exactly the same way that products and services must be intentionally designed. It starts with identifying a problem that needs to be solved, and the contexts in which the problem is happening. This is a kind of meta research, I guess. From there, I can work with my team to understand deeply why we are doing the research at all, what the objective of the particular study is, and what we want to be different because we have done the research. When the team shares understanding about why you’re doing the study and what you want to get out of it — along with envisioning what will be different because you will have done the study — forming solid research questions is a snap. You need research questions to set the boundaries of the study, determine what behaviors you want to learn about from participants, and what data you can reasonably collect in the constraints you have to answer your research questions. This article was originally published on December 7, 2009. What is data but observation? Observations are what was seen and what was heard. As teams work on early designs, the data is often about obvious design flaws and higher order behaviors, and not necessarily tallying details. 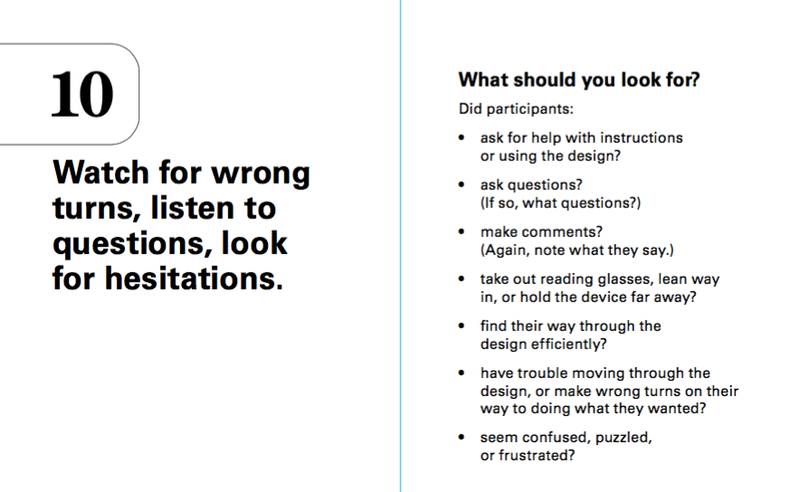 In this article, let’s talk about tools for working with observations made in exploratory or formative user research. Many teams have a sort of intuitive approach to analyzing observations that relies on anecdote and aggression. Whoever is the loudest gets their version accepted by the group. Over the years, I’ve learned a few techniques for getting past that dynamic and on to informed inferences that lead to smart design direction and creating solution theories that can then be tested. The idea is to collaborate. Let’s start with the assumption that the whole design team is involved in the planning and doing of whatever the user research project is. Research that you do alone ends up in only your head. No matter how good the report, slide deck, or highlights video, not all the knowledge gets transferred to your teammates. This isn’t your fault. It just is. So what to do? Enlist as many people on your team as possible to help you by observing your usability testing sessions. You can even give your observers jobs, such as time-keeper if you’re measuring time on task. Or, if you are recording sessions, it could be an observer’s job to start and stop the recordings and to label and store them properly. Ideally, everyone on the design and development team should observe sessions. Every designer, every programmer, every manager on the project should watch as real people use their designs. People on the wider team who are making design decisions should also observe sessions. I’m talking about QA testers, project managers, product managers, product owners, legal people, compliance people, operations people — everyone. 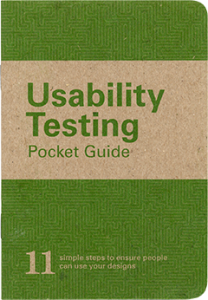 Usability testing is a fantastic source of data on which to make design decisions. You get to see what is frustrating to users and why, first hand. Of course you know this. There are other sources of data that you should be paying attention to, too. For example, observing training can be very revealing. One of the richest sources of data about frustration is the call center. That is a place that hears a lot of pain. Often, the calls that people make to the call center surface issues that you’ll never hear about in usability testing. The context is different. When someone is in your usability study, you’ve given them the task and there’s a scenario in which the participants are working. This gives you control of the situation, and helps you bound the possible issues you might see. But when someone calls the call center, it could be anything from on boarding to off boarding, with everything in between as fair game for encountering frustration. The call center captures frustration in real time. We could talk a lot about what it means that organizations have call centers, but let’s focus on what you can learn from the call center and how to do it. I’ve been thinking a lot lately about where the teams I work with are on the scale from design literacy, to fluency, to mastery. I don’t mean can they talk design, I mean, how close are they to understanding the differences between good and bad design? What steps will it take to move these teams closer to mastering design to deliver great experiences? 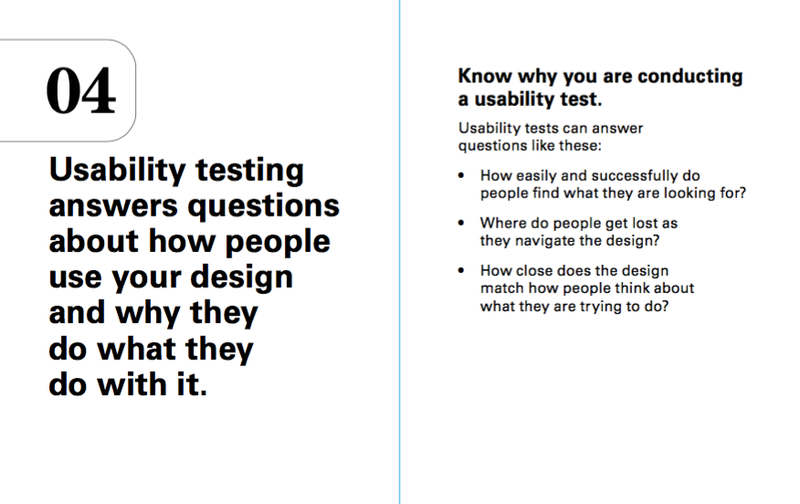 One of the most effective tools for moving teams from literacy to fluency — getting them to the point where they can see the differences between design that will work for users and design that won’t — is usability testing. Sometimes teams just need a tiny nudge to make better design decisions. To level up their understanding of their users. To so something about elements of a product or a service that are frustrating to users. Sometimes, that nudge comes from a product manager or a sales ops person or a customer service rep. But this time, the nudge can come from you. This tiny book of steps and tips that makes learning from users feel simple and obvious. Like anybody can do it. In 11 steps, your teams can work with subject matter experts and other users to collect data on the usability of their work in every sprint and all along the development path. This 32-page, 3.5 x 5-inch book includes a quick checklist to help you know whether what you’re doing will work. The covers are printed on 100% recycled chipboard. The internal pages are vegetable-based inks on 100% recycled papers. The Pocket Guides are printed by Scout Books and designed by Oxide Design Co.
You know you want one. Get one for each person on your team, too. Intercepting is an exercise in self-awareness. Who you choose and how you approach them exposes who you are and what you think. What your fears are. The inner voice is loud. As a practice, we worry about bias in user research. Let me tell you, there’s nothing like doing intercepts for recruiting that exposes bias in the researcher. Why would you do recruiting by intercepting, anyway? Because our participants were hard to find. Typically, we focus recruiting on behaviors. Do these people watch movies? Clip coupons? Ride bicycles? Shop online? Take medicine? The people we wanted to talk to do not take part in a desired behavior. They don’t vote. We did intercepts because we couldn’t figure out a way to find the people we wanted through any conventional recruiting method. How do you recruit on a negative behavior? Or rather, how do you find people who aren’t doing something, especially something they are likely to think they should be doing — so they might lie about it? There are also a few articles about the delight framework. What if you had a tiny guide that would give your team just the tips they need to guide them in creating and performing usability tests? It’s here! This is a 32-page, 3.5 x 5-inch book that includes 11 simple steps along with a quick checklist at the end to help you know whether you’re ready to run your test. The covers are printed on 100% recycled chipboard. The internal pages are vegetable- based inks on 100% recycled papers. 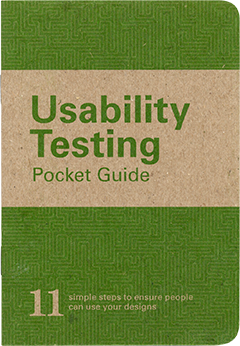 The Pocket Guides are printed by Scout Books and designed by Oxide Design Co.
Why are researchers afraid of developers? The other evening I was at a party with a whole lot of UX-y people, some of them very accomplished and some of them new to the craft. I grabbed an egg nog (this is why I love this time of the year!) and stepped up to a cluster of people. I knew a couple of them, and as I entered the circle, I overheard one of them saying that he had attended a workshop at his place of work that day on how to talk to developers, and it had really helped. “Helped what?” I said. But what I’d thought was Good lord, it’s not as if developers are a different species. What’s going on here? As I listened longer, I heard others in the circle sympathize. They were afraid of the developers who they were supposed to be on the same team with. Researchers are intimidated by developers because developers have two superpowers. They Make and they Ship. Researchers don’t. Researchers and the data they produce actually get in the way of making and shipping. Developers are not rewarded for listening to researchers. They’re generally not rewarded for implementing findings from research about users. Learning about research results means that it takes more time to do the right thing based on data. (Let’s not even get into getting developers to participate in research.) It makes it harder and more time consuming to ship when you pay attention to research data. Everything about application development methodology is optimized for shipping. Application development processes are not optimized for making something superb that will lead to an excellent user experience.